To add an Agent, you'll need to click on the Agents tab on the top toolbar. Head to the top right-hand side of the Agents page and click the blue button that says Add new. A new window will appear with a description of the different types of agents. 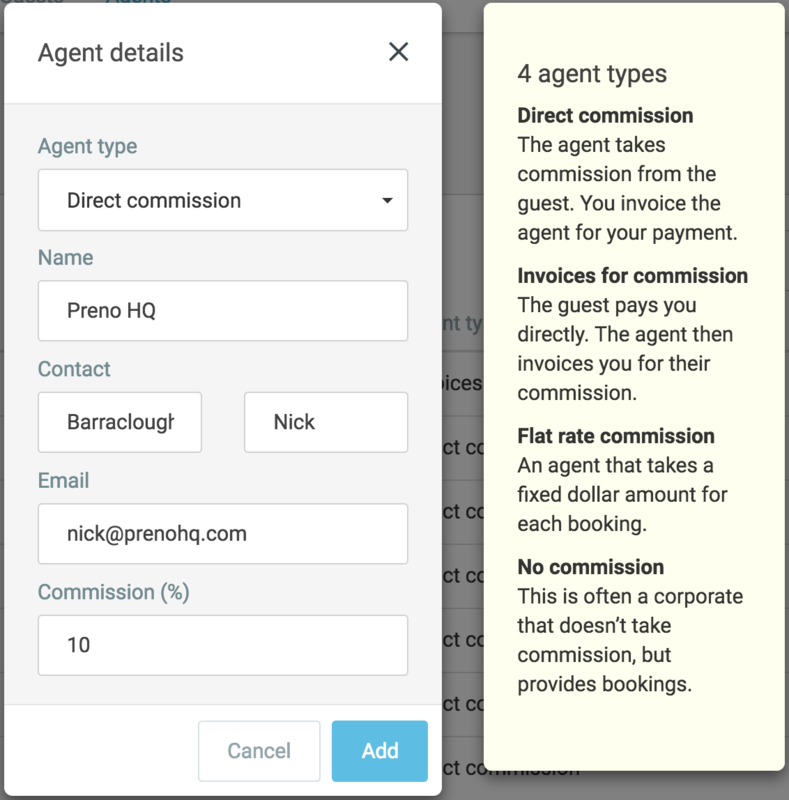 Select the Agent type from the dropdown menu, then enter their name and contact details in the fields provided. Here you can also specify the commission rate the Agent is getting. Click Add, and Preno will save that Agent for you. You can now select them as a source for your booking!